Since medieval times, ‘common’ has been the term used for parts of a private estate that commoners have traditional rights over as part of the feudal system. Such rights include the collection of firewood, the harvesting of fruits and berries, the collection of animal feed and the grazing of livestock. With increasing urbanisation and the demand for housing in the nineteenth century, many commons suffered from encroachment, where land was sold by its owners for housing development. As commons are often found on low-productivity soils, the land was also used for gravel extraction. This is how Chislehurst’s two largest ponds were created. The Metropolitan Commons Act was passed in 1886 to control gravel digging and other forms of encroachment of common land across the metropolitan area, However, this legislation did not apply directly to Chislehurst. Concerned about the erosion of their local commons, prominent Chislehurst residents formed a preservation society which achieved the passage of the Metropolitan Commons (Chislehurst and St Paul’s Cray) Supplemental Act in 1888. This Act is still in force today. Under its terms, responsibility for management of the commons resides in perpetuity with a voluntary Board of Trustees. Historically, the commons in Chislehurst and St Paul’s Cray were two separate entities but they are now managed together under charitable status as Chislehurst Commons. The land was associated with the Manor of Chislehurst and the Manor of Scadbury and St Paul’s Cray. Ownership of the Manor of Chislehurst can be traced back to 974 and the adjacent Manors of Chislehurst and Scadbury came under the single ownership of the Walsingham family in the 16th century. The Walsinghams also held land in the nearby parish of St Paul’s Cray. The 180 acres of Chislehurst Commons remain privately owned by the Lord of the Manor and are therefore not maintained by the London Borough of Bromley or the National Trust. 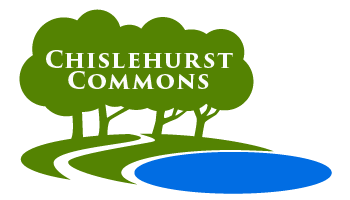 In September 2017, The Chislehurst Society purchased the freehold of the Commons on behalf of the community, although it is under no obligation to assist with the financing or management of the land. Chislehurst Commons is a registered charity and receives about a third of its revenue from the London Borough of Bromley, raising the rest from small grants and donations from local residents. The Trustees are guardians of the Prince Imperial Monument and the War Memorial, both situated on the Commons. The French Emperor Napoleon III, nephew of Napoleon Bonaparte, was exiled to England in 1870 following the defeat of France in the Franco-Prussian war. He lived at Camden Place (now Chislehurst Golf Club) with the Empress Eugénie until he died there in 1873. He was survived by his wife and one legitimate son, Louis, the Prince Imperial, heir to the French throne. Louis volunteered to join the British colonial army in South Africa, where he was killed in 1879. The Prince Imperial monument, which stands on the Common alongside Prince Imperial Road, was erected by public subscription in 1881 as a memorial to him. 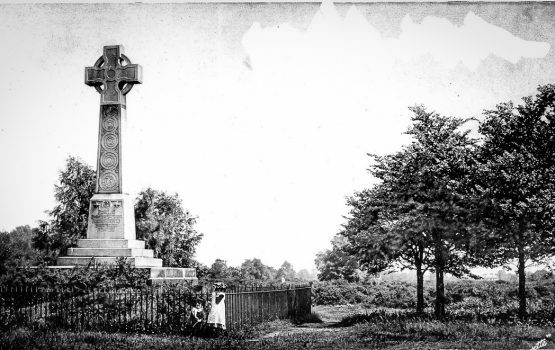 Chislehurst’s War Memorial at Royal Parade was erected in 1920 by the War Memorial Committee. The Trustees gave permission for the chosen site to be used and have been responsible for the memorial ever since, including the bi-annual replanting of the surrounding beds with plants generously donated by Coolings Nurseries.